David Beckham, co-owner of Major League Soccer franchise Inter Miami is hopeful of signing Cristiano Ronaldo and Lionel Messi in the future. 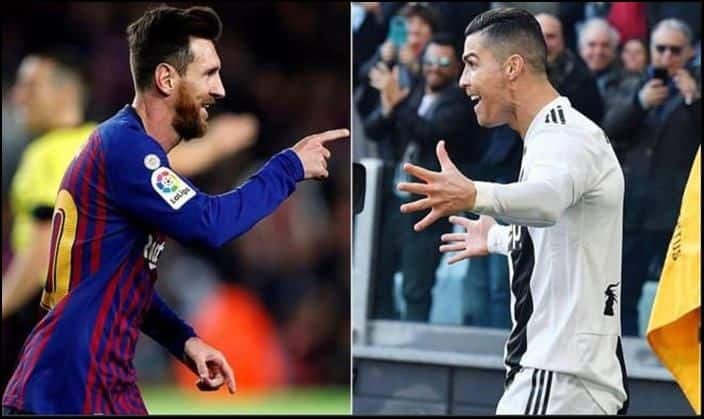 Former England International David Beckham has now started looking out for players for his co-owned Major League Soccer (MLS) franchise, Inter Miami FC and does not rule out a potential move for Lionel Messi and Cristiano Ronaldo. The American club will make it’s debut in the 2020 season in a 25,000 seater stadium as approved by the Miami public last November. Although Beckham has acknowledged that the signing of the five-time Ballon d’Or winners is unlikely, they (the club) remains hopeful. In an interview which was originally published in Sky Sports, Beckham said that he doesn’t see Argentine and the Portuguese ending their careers anytime soon given the level at which they are playing despite being above 30-years of age. Beckham is himself given the club a recognisation because of his legendary status in the football world. The 43-year-old has won titles England, Spain, the US, and France before retiring in 2013. “As an organisation, as a club, we are starting to look at players and possibilities, at what is possible,” he added. “But there are also other clubs and football people I’ve been around over my career and been able to have and gain experience from. I also have some great partners here in Miami, who understand the US market and MLS.